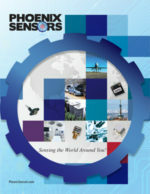 Phoenix Sensors designs and manufactures temperature sensors for consumer, industrial, medical, and life sciences applications. Our designs include miniature temperature sensors to meet the most difficult space requirements. Our customers work with our engineering team to develop low-cost temperature sensors for high volume OEM customers. The 22+ years of temperature sensor experience in our engineering team helps provide the best solution in the shortest development time. Phoenix Sensors are designed to provide reliability, accuracy, long-term stability, and fast response times (Time constant). 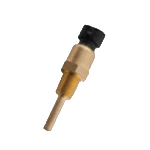 The temperature sensors are designed to maximize your component and product performance for many applications (Pool, Semiconductor, HVAC, Refrigeration, Aerospace, Military, and Industrial Automation). Using technologies such as NTC (Negative Thermal Coefficient), RTD, and Thermocouples, we cover temperatures ranges from -100C to 1200C. When you need technical support, you speak directly with our Application Engineers. Our US based design and manufacturing allows our company to maintain the highest manufacturing quality standards and enable fast-turn custom temperature sensor solutions. Overmolded NTC temperature sensor designed for temperature applications in high humidity environments. 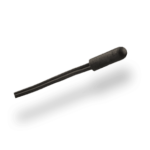 Designed for temperature applications in high humidity environments. 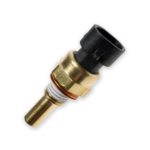 Specifically designed for temperature applications in the pool/spa aftermarket and industrial markets. 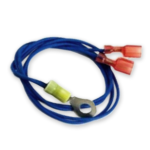 Designed for temperature applications in the pool/spa aftermarket and industrial markets. 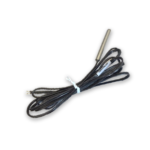 It is fit, form and function equivalent to the Victory 50632201 3 pole temperature sensors. 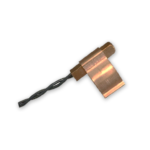 The Polyimide Sheath encapsulated NTC allows for protection against water ingress that cause traditional temperature sensors to fail. 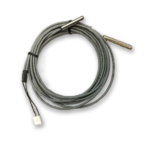 The PTS31 temperature sensor is designed for temperature applications in high vibration environments. 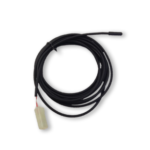 The PTS32 temperature sensor is designed for outdoor temperature measurement of pipe media. Coupling the sensor to the pipe ensures faster response time and a more accurate temperature measurement of the media within the pipe. The PTS40 Temperature sensor was specifically designed for temperature applications in the automotive aftermarket and industrial markets. The PTS50 temperature sensor was specifically designed for temperature applications in the automotive aftermarket and industrial markets. The part is fit, form, and function the same as the Delphi TS10075, and AC Delco 213-928. The part is fit, form, and function the same as the AC Delco 213-4514. 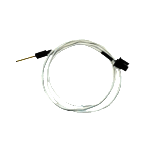 The PTSH1-0 temperature sensor was specifically designed for temperature applications in the Heat Pump and industrial markets. 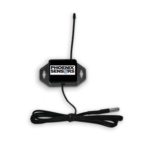 The WETS02 is a Bluetooth wireless temperature sensor manufactured for simple measurements on a variety of applications. 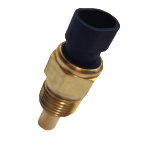 This temperature sensor was designed to supply an economical solution for industrial, consumer, and commercial applications. 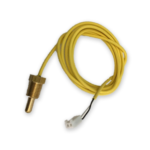 The WETS03 is a 900Mhz wireless temperature sensor manufactured for simple measurements on a variety of applications. 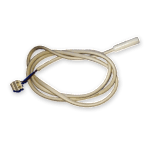 This temperature sensor was designed to supply an economical solution for industrial, consumer, and commercial wireless applications. Simply sign in to Wireless.PhoenixSensors.com to connect to the device. The battery version will last up 1.5 years in continuous (1 measurement/90 sec) use. Please contact us for Custom design availability.